This is a compensated campaign in collaboration with BUSH’S Cocina Latina™ and Latina Bloggers Connect. The holidays are such a fun time for me because I get to share my love of cooking and baking with family and friends. Even though it is one of the busiest times of the year, it wouldn’t feel like the holidays for me if I wasn’t cooking and baking for everyone. But one thing I also like to do is have simple, delicious meals at the ready for those nights when I am just too busy to spend hours in the kitchen or I just want to cuddle up and watch a movie or wrap presents. When I received this package from BUSH’S Cocina Latina™ with four different types of Frijoles I was excited. These aren’t your regular beans. 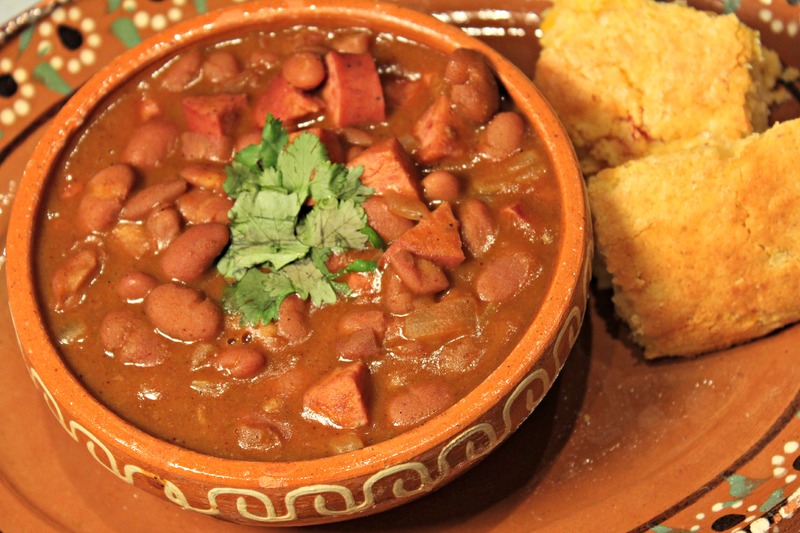 They have traditional Latin spices already baked into the beans that give them that Latin flair. This makes it so much easier for busy moms and aunties everywhere to help get dinner on the table quick without sacrificing flavor. 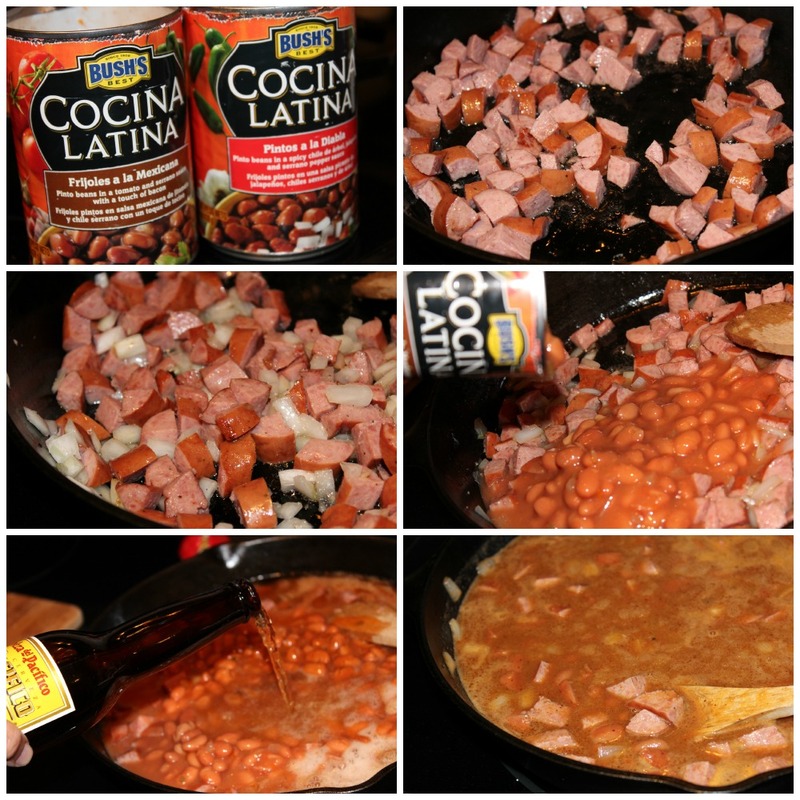 I remember mi abuela and Tia Rita always used to have pinto beans cooking on the stove for the family practically every day. 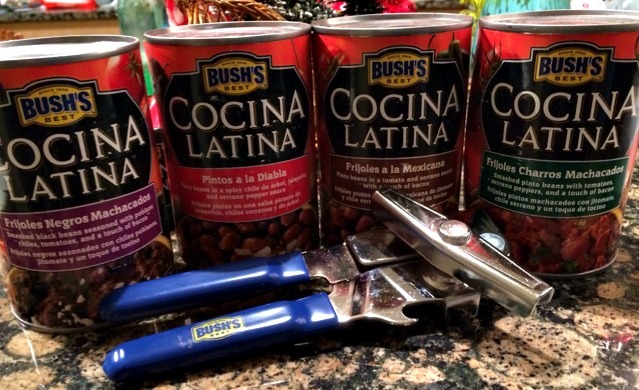 These BUSH’S Cocina Latina™ frijoles allow you to get those Latin flavors you would normally find after slow cooking beans for hours. Amazing. These definitely reminded me of my family and home and their unbelievable cooking. And boy do these frijoles have flavor. I ended up using two different kinds for this dish because I wanted some heat but I’m a wimp so not too much heat. Combined this was the ideal dish and one I will make when I need something quick and filling. With the added turkey sausage, it’s a one-pot meal too. There are the four flavors of BUSH’S Cocina Latina™ Frijoles available now. Pintos a la Diabla: Inspired by regional flavors and family wisdom, these are made with authentic ingredients like chile de árbol, jalapeños and serrano peppers. 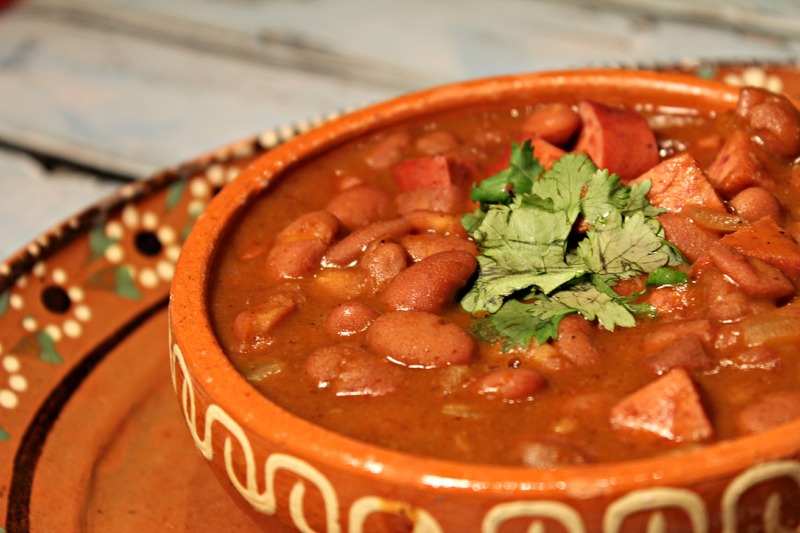 Frijoles a la Mexicana: inspired by traditional regional recipes, uses ingredients like tomatoes, serrano peppers and bacon for an authentic flavor. 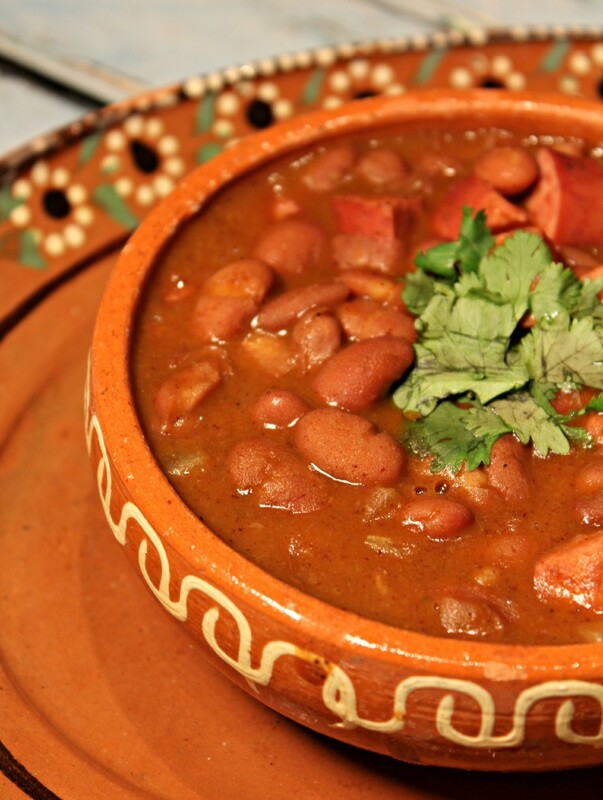 Frijoles Charros Machacados: traditional smashed pinto beans prepared according to a recipe inspired by regional flavors and family traditions, using ingredients like tomatoes, serrano peppers and bacon. Believe me, you won’t be disappointed in these! And here’s a tip: Buy a few of these cans and have them in the pantry ready for you to have that Latin home cooked flavor ready for the family at a moments notice. 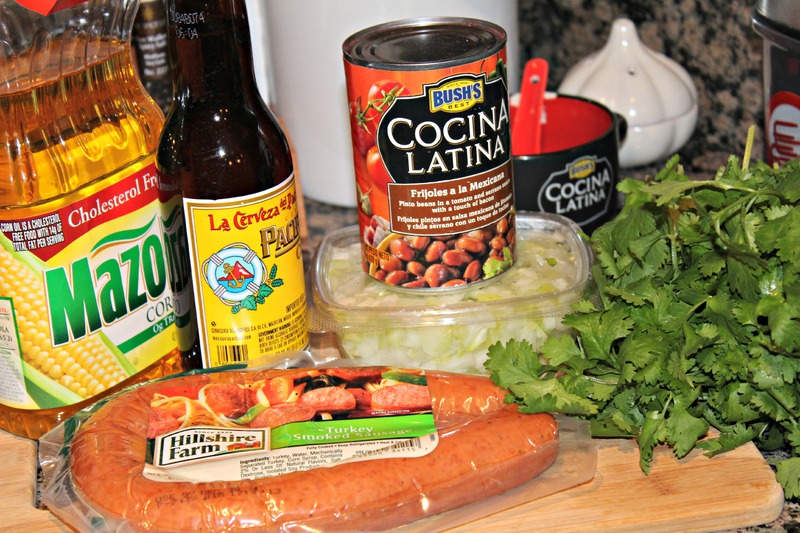 You can visit FrijolesBush.com for authentic BUSH’S Cocina Latina™ chef recipes, pairings and tips. Add vegetable or canola oil to a large cast iron skillet and let heat up. Add turkey sausage to pan and cook for five minutes. Add onions to pan and let cook for 5-7 minutes, stirring occasionally. Pour in beans. Add in about 3/4 of the beer and chili powder, cumin and salt. Bring to a low boil then reduce to a simmer. Let cook for 20-30 minutes, stirring occasionally. Top with cilantro and serve with cornbread.